Players can explore new Disney and Pixar worlds in this latest installment of the popular action role-playing series. Kingdom Hearts 3 is one of most highly anticipated games of 2019. 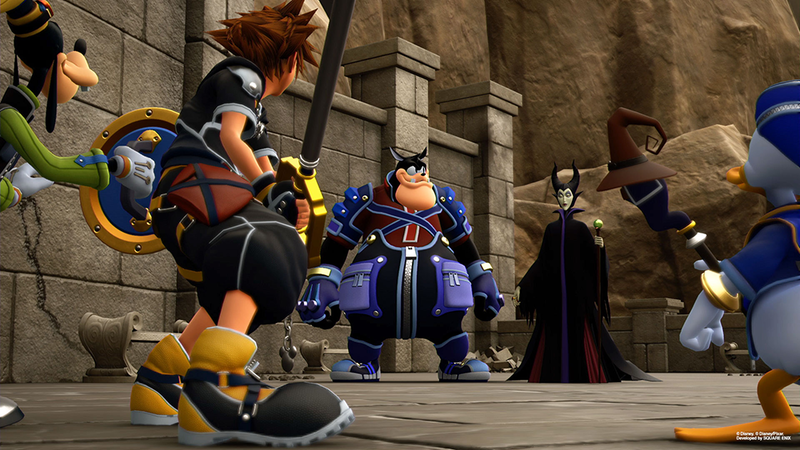 The follow-up to Kingdom Hearts 2 (which was released on PlayStation 2 in North America way back in 2006) hits PlayStation 4 and Xbox One on January 29. We’re here with a quick rundown to help you decide whether this one is right for your family. What is the Kingdom Hearts series about? Kingdom Hearts is an action role-playing game series that began with the original Kingdom Hearts on PlayStation 2 in 2002. While the “3” in “Kingdom Hearts 3” may make you think this is only the third game in the series, there have been far more than that, with side games being released on everything from the Game Boy Advance to mobile phones. For our purposes, the main series (Kingdom Hearts 1, 2, and 3) follows a young boy named Sora, who teams up with Donald Duck and Goofy on an epic quest to defeat creatures known as the Heartless and ultimately save the universe, which is comprised of multiple worlds. Many of these worlds are themed after popular Disney films, like Aladdin and Hercules. What do players do in these games? Traditionally speaking, Kingdom Hearts games allow players to jump from one world to another and interact with popular Disney characters -- as well as those from Square Enix games like Final Fantasy VII (Square Enix is the series' developer and publisher). Each world has some sort of conflict to resolve (typically relating to a villain seen in the film the world is based on, like Jafar in the world of Agrabah), which players will need to do before jumping to the next world and repeating the process. As players progress, they also work through an overarching storyline related to the Heartless and larger enemies that are attempting to take over the universe. While exploring each world, enemies often appear in groups, triggering fast-paced battles where players can attack enemies with melee weapons, spells, and more. 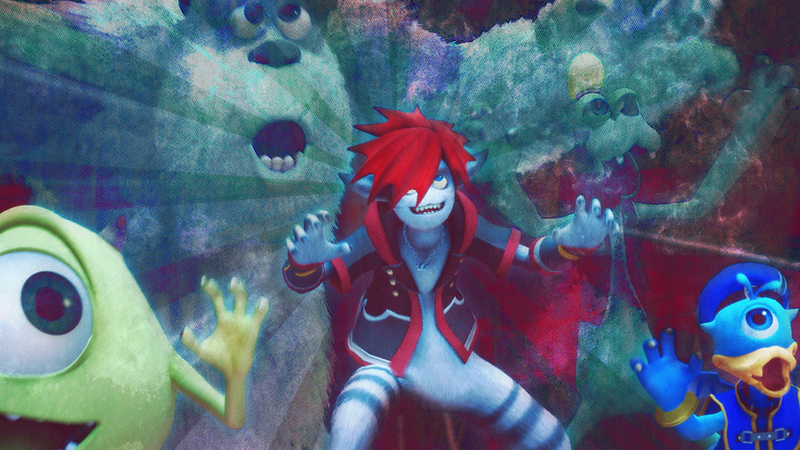 While players control Sora, his teammates control their own actions to help eliminate foes. Do my kids need to have played previous Kingdom Hearts games before playing this one? Yes and no. Kingdom Hearts 3 will contain a variety of new worlds based on films like Frozen and Tangled, which have never been in another Kingdom Hearts game before. In these cases, newcomers will be able to enjoy meeting each film’s characters along with the game’s heroes. However, returning characters, like Hercules and Pete, may make references to past events that new players may not understand. That being said, there are so many games in the Kingdom Hearts franchise that it would be unrealistic to ask a newbie to play them all before diving into Kingdom Hearts 3. Thankfully, lots of YouTube videos have been created that help explain what you might have missed so far. The story in the Kingdom Hearts series is pretty complex, and, at times, confusing, so you may want to check out these videos even if you’ve played some of the games before. Are these games ok for kids? If you have younger kids, they may have a hard time keeping up with the game’s fast-paced battles and overall strategy, but if they’re fans of Disney and Pixar films, they’ll still be able to have fun exploring familiar worlds and watching cutscenes starring popular characters. Is there anything else parents should know? If you’d like to try any of the previously released Kingdom Hearts games before spending $60 on Kingdom Hearts 3, a collection called Kingdom Hearts - The Story So Far on PlayStation 4 is available for $39.99. It contains both Kingdom Hearts and Kingdom Hearts 2, along with seven other experiences that come in the form of complete games or updated cutscenes that you can watch to get fully up to speed before diving into this newest installment in the franchise.